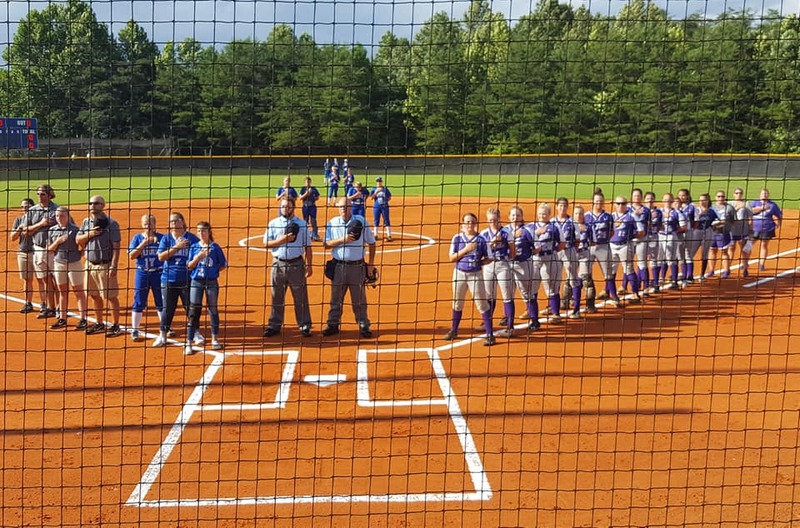 On 9/13 the Lady Rebels softball team traveled to Flowery Branch to take on the Lady Bears. Earlier in the season, Cherokee Bluff traveled to Fannin County where the Rebels beat them 7-3. Fannin was looking to continue the trend while the Bears were looking for their first region win. The Bears had a hot start in the first inning that took the Rebels by surprise. Fannin was not able to score any runs with their first at bat and could not stop Cherokee Bluff from putting five on the board when they went up to bat. With the Bears up 5-0, Fannin started to fight back on offense. In response to their opponents five runs, Fannin was able to score five of their own to tie up the game. Maleah Stepp, Alicia Jones, and Kyla Seabolt led Fannin in hitting for the night. Each of the seniors racked up two hits for their team. Cherokee Bluff fought to get their lead back in the bottom of the second inning. The Bears scored two more runs, putting them ahead of Fannin 7-5. After Fannin almost made a comeback, the Bears started to put all the pieces of the game together. As they continued to add one run to their score in every inning but one, they held Fannin with their defense by not letting them add anymore runs to their score for the entire game. On defense, neither team had any errors. Amelia Sneed pitched a great game from the mound where she struck out four batters over six innings. Out of her many pitches over the course of the night, twenty of her first pitches to a new batter were strikes. Although Fannin kept up with Cherokee Bluff defensive wise, they unfortunately fell short to them on offense. The Bears earned twelve hits for the night while the Rebels had eight. Cherokee Bluff walked away with a 10-5 victory over Fannin, giving them their first region win. The Lady Rebels loss put their overall record at 5-10 and their region record at 3-5.